There is a big difference in charter services, boats and Captains. 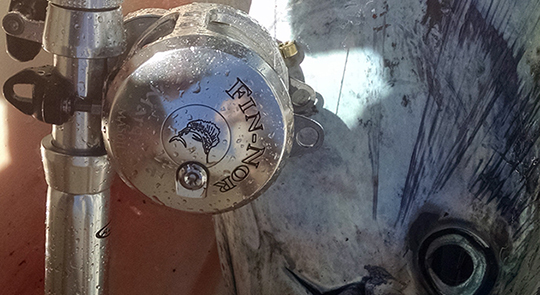 How they are rigged, techniques used and skill levels determine a successful fishing day. There is a reason the Big Game Sport Fishing Team remains among the Top Rhode Island Charter Boats. No other Rhode Island Charter Boat service operates quite like we do. We use live bait & light tackle. We are rigged and ready to fish for any situation that arises on the water! From trolling, to chunking, jigging, bottom fishing, deep dropping, and fishing live bait, we use a number of different methods to catch and target different species. All of the rods, tackle, lures and gear are on the boat, rigged and ready to go to maximize your fishing experience. We use all top of the line fishing tackle, no expense is spared. 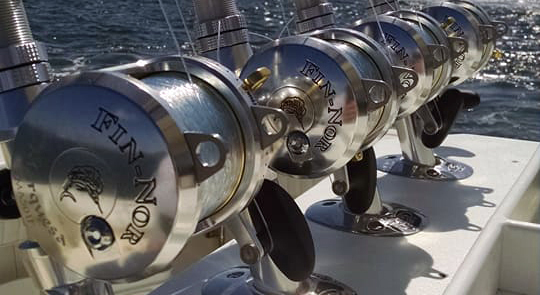 All of our tackle is maintained throughout the season and our reels (Fin-Nor and Quantum PT) are replaced annually as they get worn out. 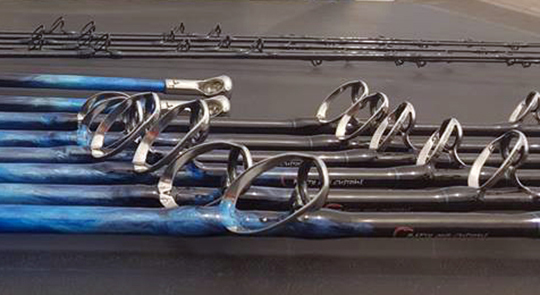 We use custom built fishing rods made by Crafty One Customs for our inshore and offshore trips. Our customers are fishing with the best new gear, new line and smooth drags on all of our reels. There is no Walmart tackle from 1985 on any of our boats! 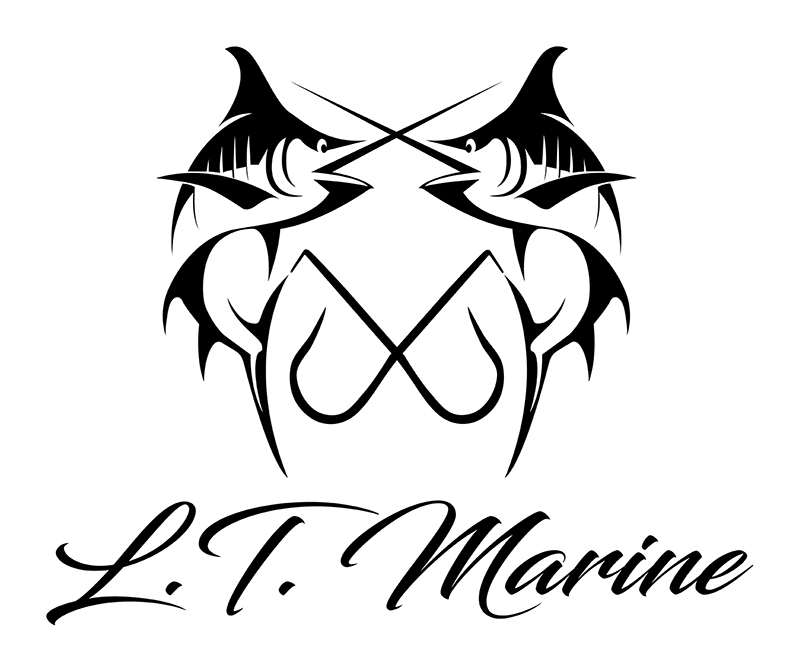 Our captains and mates will cater to you throughout your fishing trip and rig and change out baits and rods for you. Our captains do not stay up in the bridge all day. Our captains interact and spend time with the crew answering your questions and helping our mates get your lines back in the water faster. You will be very pleased with the effort our Captains and Mates exert for you. The Big Game team works very hard for our clients! You will be fishing a number of different ways and targeting multiple species throughout your trip to maximize your catch. You will not be charged extra for live bait. We fish 7 days a week, both inshore and offshore. We know where the fish are because we have at least one of our boats designated to go offshore and Tuna fish every day, and at least one of our boats targeting the inshore species. We're able to get right back on top of the fish from the day before because we know where the fish are. We know what they're feeding on and the best methods to catch them. From Tuna to Mahi to Marlin we know where to go to get you on the fish because we do in fact go offshore every day. 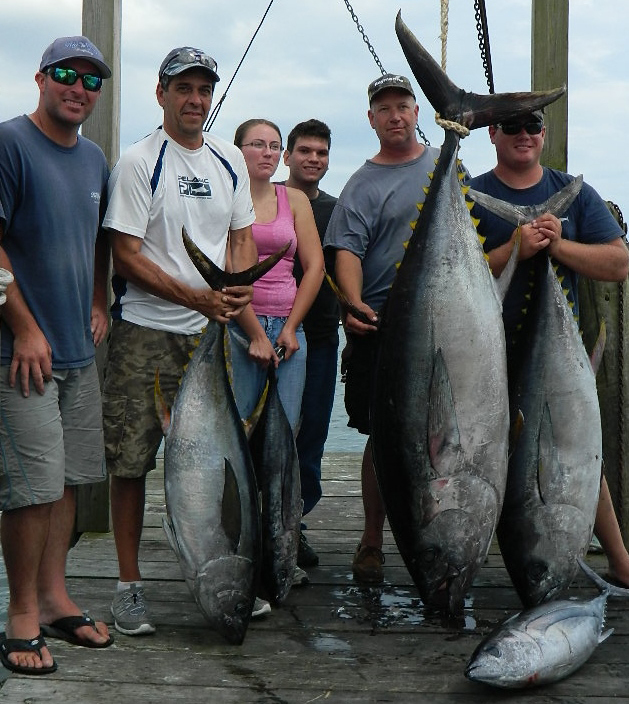 No other Charter service in Southern New England does the number of Offshore trips that the Big Game Fleet does. The majority of the Charter fishing fleet cruises between 10-16 knots to save fuel. The Big Game Sport Fishing Charter Boat Fleet offers 4 boats that are new, fast, comfortable and efficient. "Big Game" and "Knot Reel Teeth" cruise to the fishing grounds at 28-30 knots! Scalez n' Finz blasts out to the gounds at 35-40 knots and Big Game II cruises at 20 knots. We're not afraid to burn more fuel to get you to the fishing grounds faster. This means more time fishing and less time traveling. 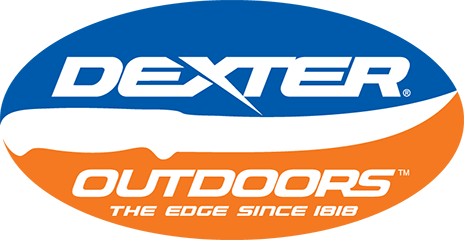 We want all our anglers to be successful on the water. There is no better thrill for us than having a client tell us "that is the biggest fish I've ever caught!" We pride ourselves in teaching our anglers, adults and children, to fish the Southern New England waters using the most successful techniques. We understand there are different levels of experience when it comes to fishing. Our Captains and mates will guide and coach even the most novice anglers with patience. The Big Game Fishing Team has developed, through years of experience, unique fishing techniques that consistently produce better catches, both inshore and offshore. Big Game sails 7 days a week from mid May through the end of January. We run an average of 280 charters per year, 75% of our charters are repeat customers. Our Captain and Mate's combined fishing experience is over 70 years. Our charter numbers have increased in the past two years, even with the poor economy. We want to make ourselves the best and your favorite Charter service in Rhode Island, Period. 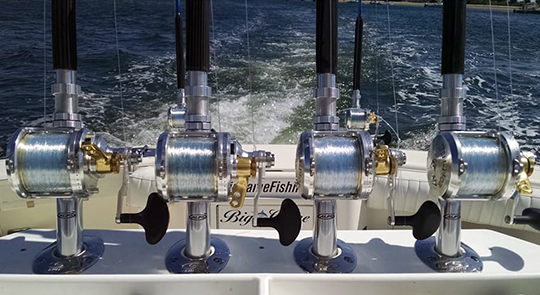 The Rhode Island Charter Boat Fleet, Big Game Sport Fishing offers 4 true fishing machines. All of our boats provide a safe and stable ride. We will work very hard to make your fishing experience is an Adventure of a Lifetime, instead of a costly nightmare. In other words, if the bite is off, or if the weather looks bad, we'll give you the option to go fish, or reschedule. If we can't reschedule, we will refund your deposit in full. We don't want to bring you for a "Costly Boat Ride." We want to provide our customers with a wonderful fishing experience. We want our customers to have fun, come back and fish with us again! The Rhode Island Charter Boats (see Our Boats) Big Game, Big Game II, Knot Reel Teeth and Scalez n' Finz are clean, well maintained, fast, stable and have a full head, microwave, A/C and refrigerator. We are professional captains and crew, all a pleasure to fish with, who love catching not fishing, and who understand that we are not only a charter business but also in the entertainment business. We always have fun whether the fish are biting or not. There is a big difference when choosing your charter service. We hope you will make the right choice and fish with The Big Game Sport Fishing Fleet!